Here's my opinion on a new product that I've tasted and I've liked very much. 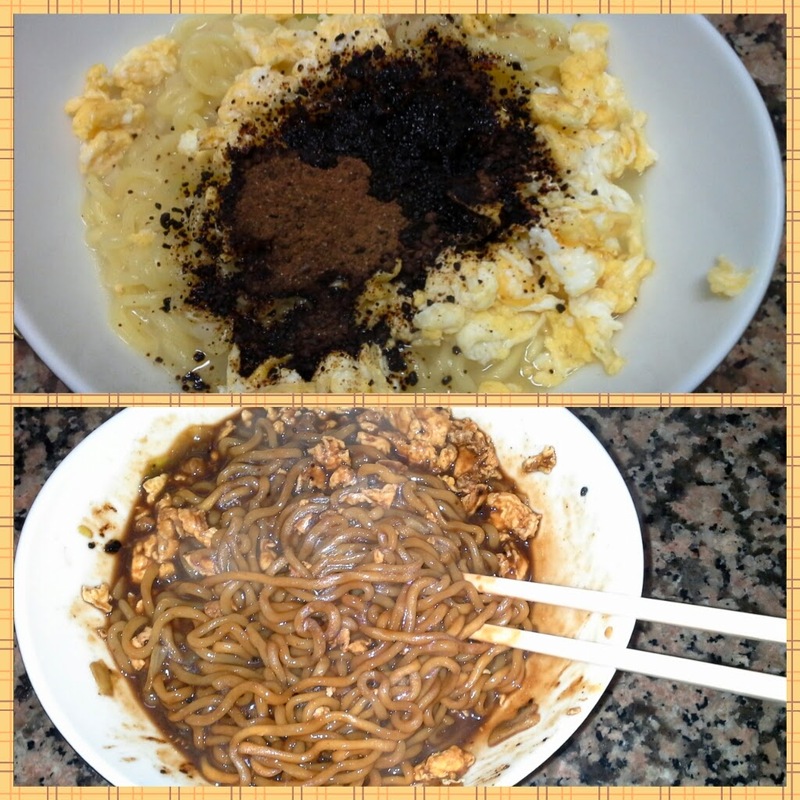 These are Korean instant noodles with black bean sauce (jjajang myeon). Youngsters in Korea have some curious celebrations. After Valentine's Day (February 14th) when gilrs give chocolate and sweets to the boys they like, there's White Day (March 14th)- when boys give chocolates and sweets to the girls they like. After that comes Black Day (April 14th)- when singles get together with other single friends to eat jjajang myeon (noodles with black bean sauce). I bought these noodles inspired by Black Day. 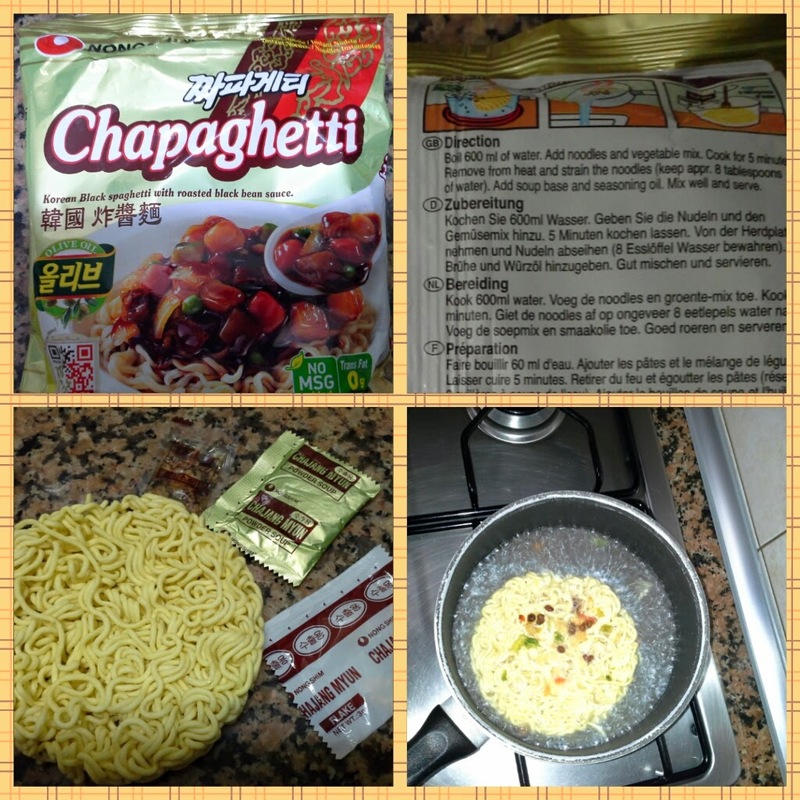 They are very easy to preapare: you boil the noodles together with the dried veggies and, after 5 minutes, you drain them leaving a little bit of water to be able to create the sauce with the black bean powder and the sesame oil provided in the package. If you'd like to taste some Korean food but you don't dare cause of the spiciness, you can taste these noodles: they are not spicy at all and they are super yummy. So, will you give them a bite?